After writing music for 10 years, Charlotte Campbell’s career really began when she found herself on London’s Southbank, guitar in hand and a case full of change. She found a stage there and an audience. She has captured the hearts of tourists and Londoners with her sweet vocals and thoughtful lyrics. Through glorious summers and bitterly cold winters Charlotte sings her favourite cover songs as well as performing her own original music. 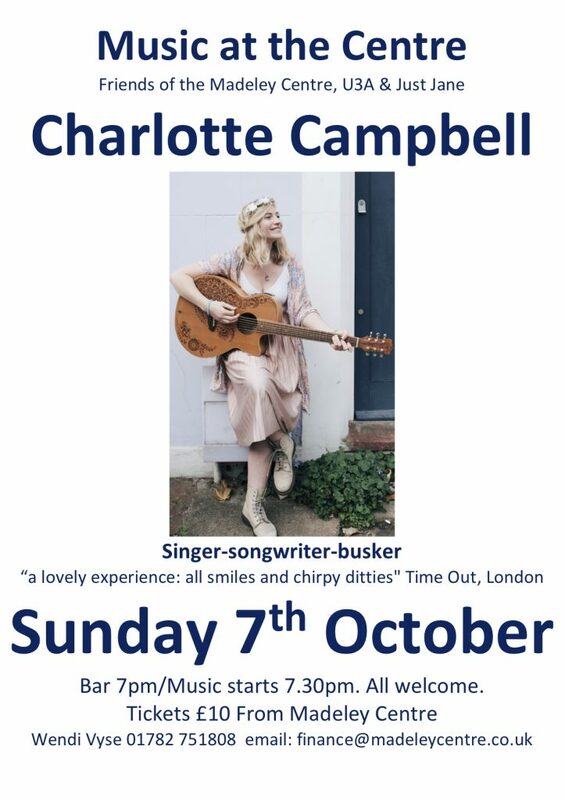 Charlotte’s fanbase online is loyal and growing rapidly; she successfully crowdfunded two albums and recently sold out St Pancras Old Church for the launch for her 3rd record. Having graduated from London’s BRIT School and Institute of Contemporary Performance, Charlotte is making a name for herself in her hometown; featured in Time Out London, The Metro and The Londonist.